Vitamin D is an important nutrient in maintaining proper bone health. This vitamin is also important for stronger and healthier teeth. In addition, Vitamin D may also play a role in helping to prevent the formation of cavities. Vitamin D is an important nutrient in the formation of teeth beginning in the womb. In order for both primary and permanent teeth to develop properly in the gums of the fetus, the pregnant mother must get enough Vitamin D. During infancy and early childhood, sufficient amounts of Vitamin D are necessary to strengthen the developing teeth and keep them strong. Just like bones, without enough Vitamin D the teeth may lose some of their hardness and strength. Those who suffer from deficiencies in this nutrient may experience demineralization of both bones and teeth. When it comes to oral health matters, this can lead to the formation of cavities, periodontal disease, and other oral health problems. These issues are not limited to affecting children. Lack of Vitamin D can lead to cavities and other oral health issues in adults as well. It is important to eat a healthy and balanced diet to get enough nutrients for proper health of your mouth, teeth, and gums. Brush and floss teeth daily and be sure to keep up with your twice yearly dental examinations. 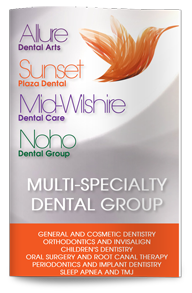 Our West Hollywood dentist can detect any problems with teeth including nutritional issues that can affect oral health. The dentist will make necessary recommendations.